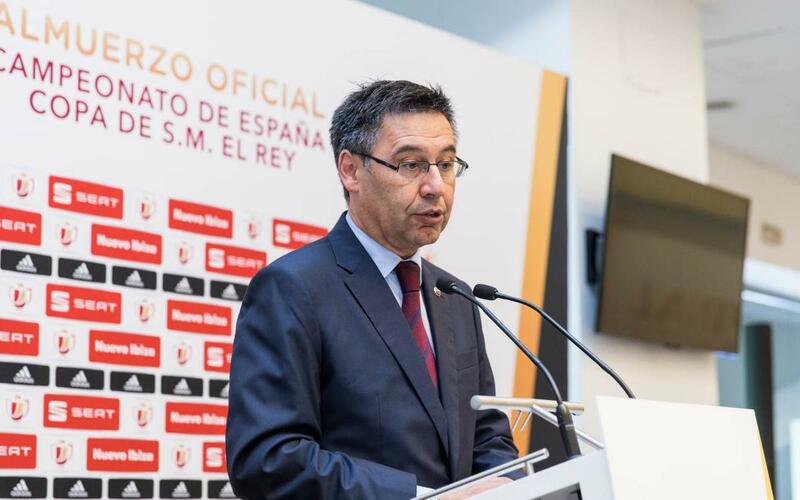 After seeing the team win the Copa del Rey for the 29th time in the club’s history, president Josep Maria Bartomeu spoke of the great work carried out by Luis Enrique in his three years in charge. “Luis Enrique has done a very good job and we are very grateful,” said the president, adding that “the door is always open for him to return when he wants. He has been a successful manager”. It was the ninth trophy won under the Asturian, and the Barça president said that Luis Enrique “many objectives” and said that the Copa del Rey was won “with a huge effort against a side who had a clear idea of how to play”. On Leo Messi’s superb performance, Bartomeu said that the Argentine “stood out and once again showed us that he is the best player in the world”. "We have to keep this good feeling and celebrate it as we have won a title against a great team and in the farewell match of this stadium,” he concluded.